A title match has been added to the final night of this year's New Japan Cup. 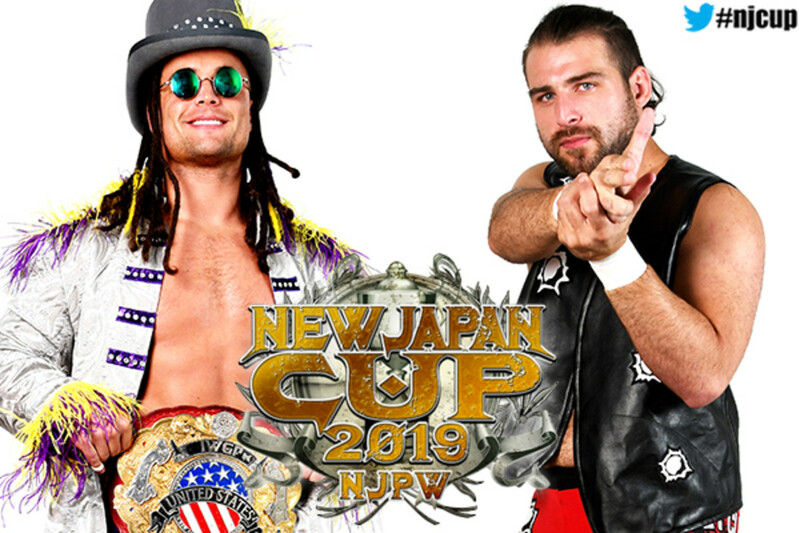 NJPW has announced that Juice Robinson will defend his IWGP United States Heavyweight Championship against Chase Owens at the New Japan Cup finals. The show is taking place in Niigata on Sunday (March 24). Owens eliminated Robinson from the New Japan Cup in the first round. NJPW has been building to their US title match since then, with Owens laying out Robinson after tag matches. YOSHI-HASHI defeated Owens in a second round tournament match. Robinson is a two-time IWGP US Champion. After dropping the title to Cody Rhodes in September 2018, Robinson won it back at Wrestle Kingdom 13 in January. The quarterfinals of the New Japan Cup will take place this Wednesday and Thursday. Kazuchika Okada vs. Will Ospreay and Tomohiro Ishii vs. YOSHI-HASHI are Wednesday's tournament matches, while Hiroshi Tanahashi vs. Zack Sabre Jr. and SANADA vs. Colt Cabana are set for Thursday. The semifinals will then be held this Saturday. The winner of the tournament will challenge for Jay White's IWGP Heavyweight Championship at G1 Supercard at Madison Square Garden on Saturday, April 6.